Xenia was a black Abbyssinian female guinea pig born in 2013. She came to us when her owners could not cope with her partner’s health issues. She lived in Sowcester one of our guinea pig villages, in Zach’s harem for years and then moved outside into one of the new guinea pig sheds . 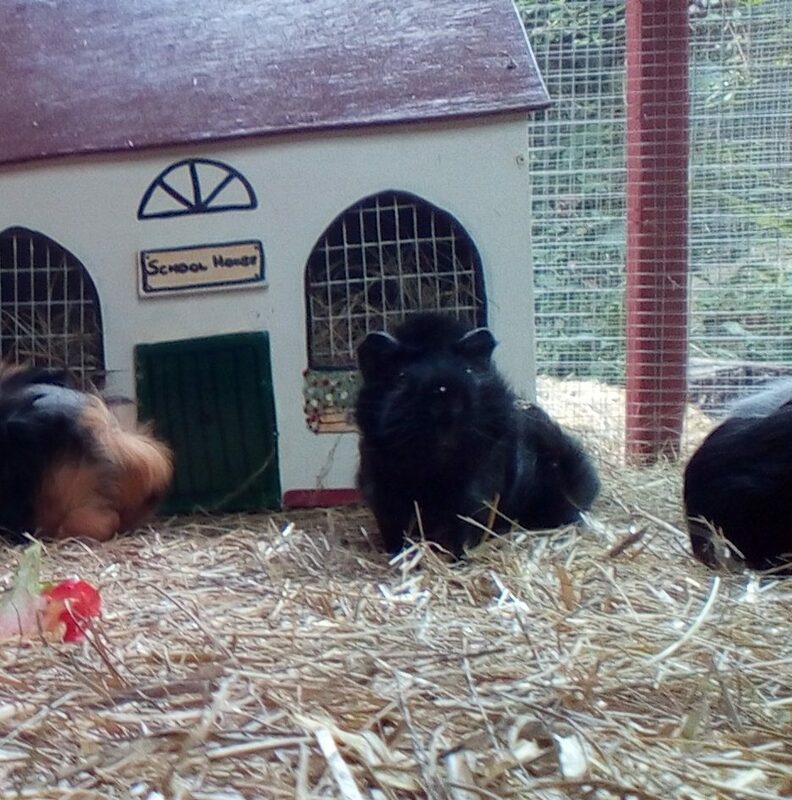 She was our longest term guinea pig resident when she died. She was always a very timid little pig, but she wasn’t afraid to argue with Zach. They would often have a bit of a tussle over a piece of veg. They were usually the first ones there as they weren’t carrying quite so much belly as the majority of the lady pigs tend to. She was healthy throughout her life until she got a tumour under her chin. It didn’t appear to be affecting her badly until the hot weather in June 2018 which proved to be too much for her.